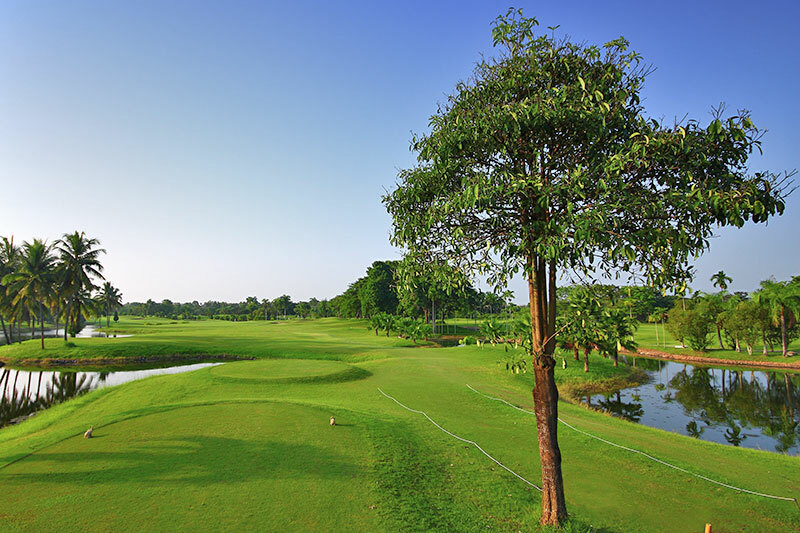 The Summit Green Valley course, about 20 minutes from Chiang Mai near Mae Rim, was designed by Mr. Dennis Griffiths and features hundreds of palm trees surrounding beautifully kept fairways and greens, with views of the mountains beyond. At 7,200 yards, it’s officially a par 72 but be warned: hitting par is not easy, especially from the back tees. 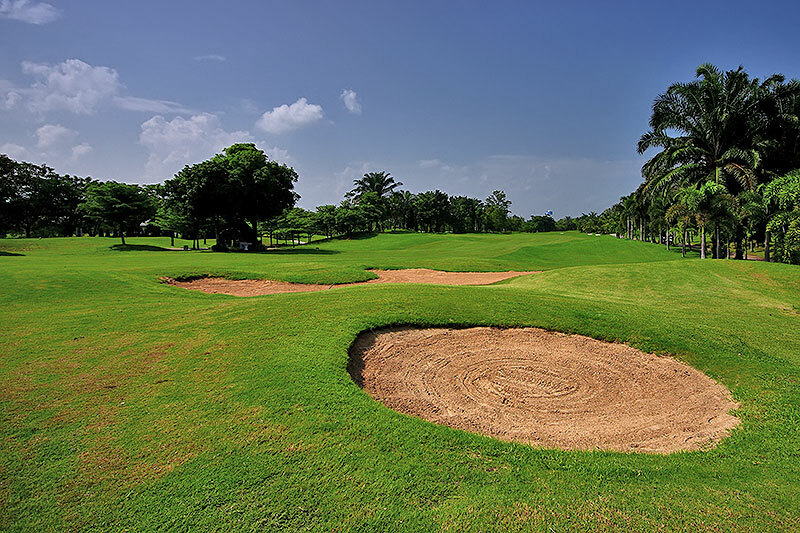 The fairway may look wide, but water and bunkers are placed to make the landing areas narrow at every hole. 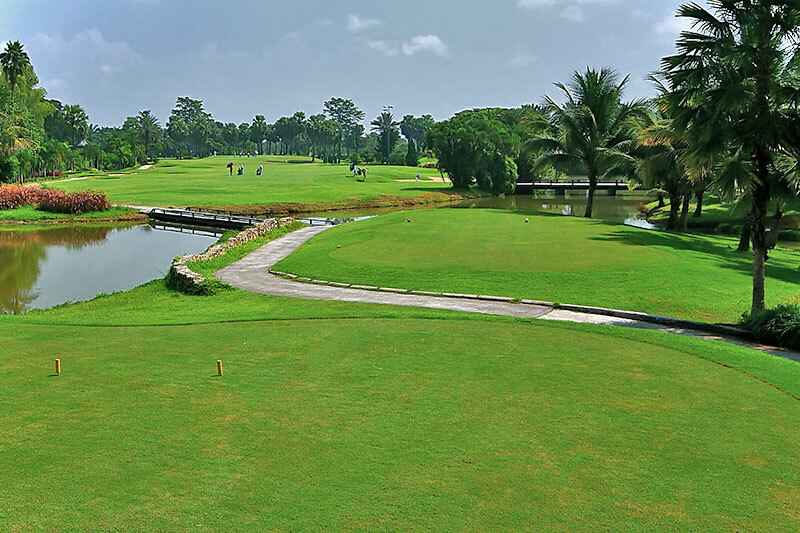 Be at your sharpest at the par 4 9th hole, the course’s signature hole. The first shot from the tee must carry over water into a landing area guarded on both sides by sand traps. 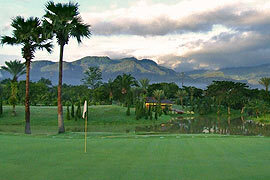 The second shot, too, is over water and uphill to an elevated green with bunkers either side and surrounded by palm trees. Just making par is an achievement. The par 3 12th hole is short; but with almost no fairway until close to the green. The rough at Summit Green Valley has grass kept intentionally long. Beware of overhitting the ball on the green shot. There’s a huge bunker waiting behind. The 18th hole par 5 doglegs to the right. Tee shots have to be accurate – the first landing zone is protected by a long bunker on the left and water on the right. The green is protected on either side with bunkers, with another at the back. 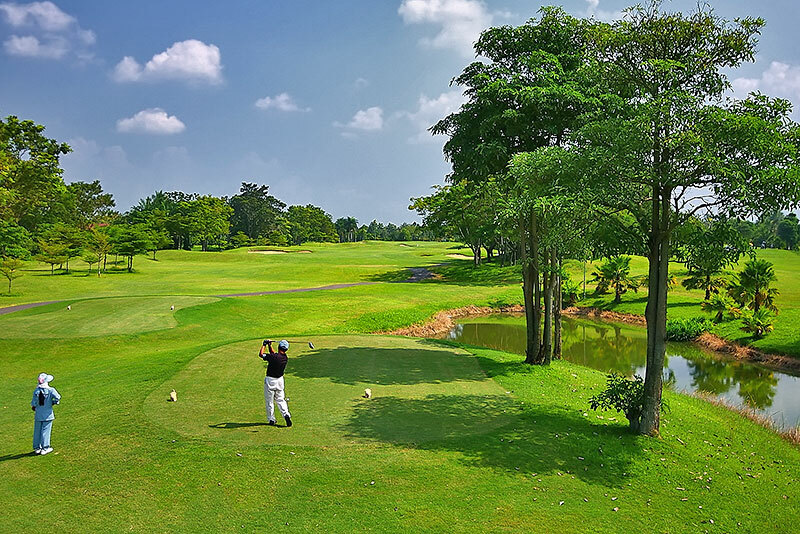 Getting it right will make golfers feel they have really earned refreshments at the 19th hole. 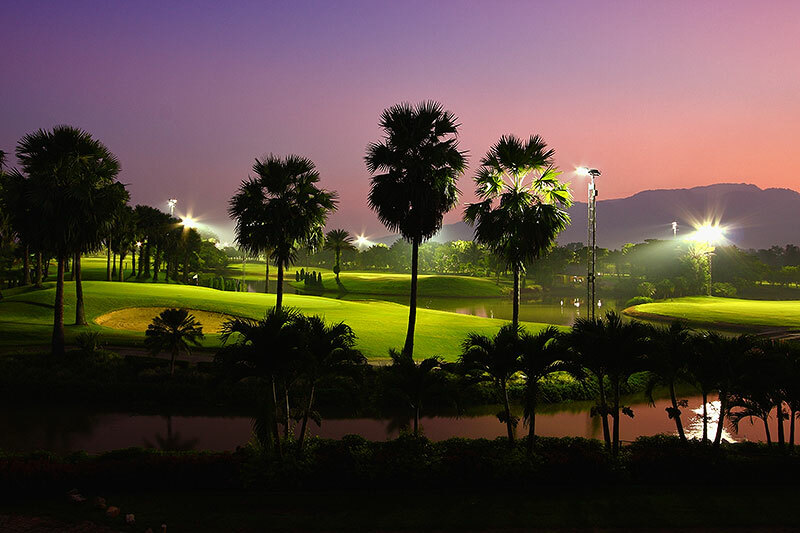 And for those wanting a different challenge, the course is equipped with high quality lighting for night golf. Use of golf cart is available on request. Maximum 1 golfer per cart is permitted. The golf cart rental is 700 Baht/cart/person. Rates above are NOT inclusive of caddy tip. 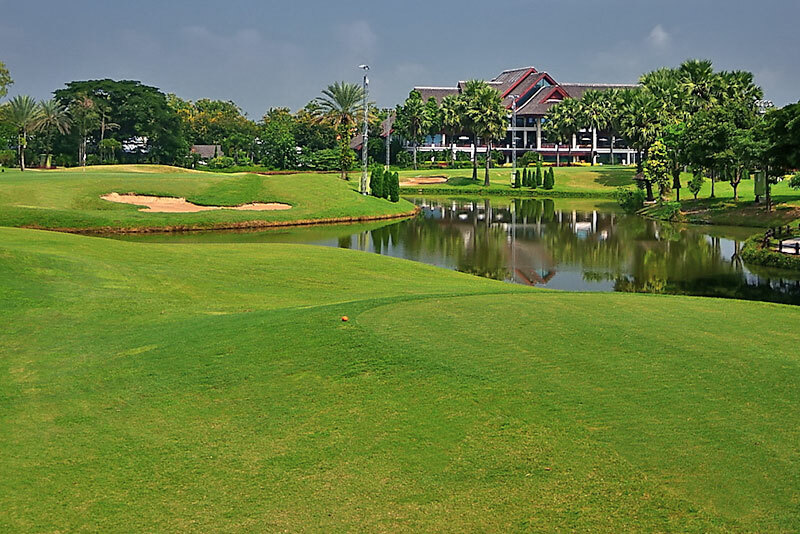 Summit Green Valley Chiangmai Country Club has recommended to tip their caddy from 300 Baht. You can give it directly to your caddy after the game.